Not Even a ‘Jenious’ Can Trace My Family Name. Help! 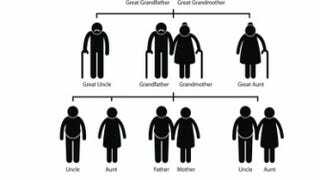 Having a unique family surname can come in handy when you’re tracing your family’s ancestry because records of your family are easier to pick out from more-common surnames. At the same time, it can also lead to some pitfalls, such as misspellings of the name on documents or maybe some incorrect assumptions that documents containing that surname must be for your ancestors. So far you have found a lot of records for your paternal grandfather, Otto Jenious, which you have shared with us. You also know that his parents (your great-grandparents) were Mack and Marion Jenious, but you have yet to find a lot of information for the generations before theirs. Family legend suggests that your ancestors may have lived in Louisiana, but so far most of the documents you have found for Otto show that your family was living in Mississippi. You also shared one interesting record, a World War I draft-registration card for an African-American man named Otto Jenious, who was about the same age as your ancestor, living in Washington, D.C., at the time of the draft. Clearing Up the Confusion About Otto Jenious in Washington, D.C.
Before you start tracing your Jenious ancestors back further, it is best to verify the information you have for earlier generations so you don’t waste any time looking in the wrong geographic region or researching the wrong family. Let’s first confirm that the record of Otto D. Jenious living in Washington, D.C., is a record of your ancestor. Since you already have a record of your grandfather in several census years living in Mississippi and Missouri, a quick way to confirm that this Otto Jenious is a different person from your ancestor is to find records of both of them in the same census year. A search of the 1900 census shows a 2-year-old Otto “Jenuis” living in Hinds, Miss. His father was born in Mississippi, and his race is listed as black. We also find a 9-year-old boy named Otto “Jennious” living in Washington, D.C. His race was listed as black, and his father was born in Maryland. Now you can be sure that the record you found for Otto Jenious of Washington, D.C., is not a record of your ancestor with the same name. This is a good example of how names that seem unique may be misleading. At the same time, you don’t want to completely forget about this Jenious family. Perhaps there is some connection to your ancestors, given the similar spelling of their surnames and the use of the given name “Otto.” If, after researching your confirmed ancestors, you still are not able to find the origin of the family name, you may want to consider researching this family to see if they have any connection to your ancestor. One might assume that it would be relatively easy to find records of your Jenious ancestors, but as you can see in the documents you already collected, the name is spelled Jenuious, Jenuis, Juanna and Jeanious. In previous columns at The Root, we have described how to deal with names that are misspelled. Here are a few specific ways that you can overcome these challenges in your own search. First, as you may already have noticed, most genealogy websites will return a variety of possible responses to your query. For example, just typing in the name “Jenious” into FamilySearch or Ancestry.com might give you responses for people with the surnames Jenus, Jennous, Genus and so on. Just because these websites are giving you a variety of responses doesn’t mean that they are always picking up every possible record of your ancestor. That’s why it’s important to type in spelling variations of the name you are researching in the search box. So how do you know which spelling variations to use in your search? If you already have several documents of your ancestors in which their name is spelled differently, you can start by typing all of those variations of the name into the database that you are using. Also, think of how the name sounds, and type in a phonetic spelling of the surname into the search box. For example, you could try searching for records of Genious, since “j” and “g” have a similar sound. Ancestry.com gives you the option of searching using Soundex, a system that was created to group together names with similar sounds. FamilySearch has a more detailed explanation of how the Soundex system works and how it applies to genealogy research. Census records are really useful to get big-picture information about your ancestors, such as the state and year of birth and other details of the family, but sometimes they lack specific details or can be inaccurate. For this reason, it is always helpful to find original birth, marriage and death records (or vital records) whenever possible. Fortunately, from the 1940 census records that you shared with us, we know that your grandfather (Otto) and both of your great-grandparents (Mack and Marion) were still living in 1940. This means there is a good chance that official records of their deaths exist, since most states had mandatory registration of vital records by the early 20th century. Because the death record for an individual often lists his or her parents’ names and places of birth, let’s start by searching for a record of Otto Jenious’ death. A basic search of the genealogy sites Ancestry.com and FamilySearch did not return any results for the death of Otto, but don’t be discouraged. Record coverage on most genealogy websites is variable, and just because you don’t find the record you are looking for doesn’t mean it doesn’t exist; it may just take a little more searching. Since we know that Otto was living in St. Louis, Mo., in 1940, a good place to start is to check the death records for the state of Missouri. Fortunately, the Missouri State Archives has digitized most of its death records that are over 50 years old. If the state you are searching in does not have digital records online, the state archives or the department responsible for recording vital records (usually a Registry of Vital Statistics or Department of Health) may have more information on how to obtain the record you need. Also, the Family History Library has many vital records that are microfilmed and available to be borrowed through a nearby Family History Center. You can search its catalog for the state or town in which you are doing research. Missouri did not start statewide registration of vital records until 1910, so most of the records in this collection are from 1910 to the early 1960s. We started our search of this database by just typing in the surname Jenious. This search returned three results—Mack, Marion and Otto Jenious—so it seems that Otto’s parents eventually moved to St. Louis to live near him. Otto’s death record (pdf) shows that he died on July 9, 1948. His record lists his birth date as Feb. 7, 1902, which might be off by a few years, because you found that he was enumerated in the 1900 census with his parents in Mississippi, as their 2-year-old son. The death record lists his place of birth as Clarksdale, Miss., while his parents, Mack Jenious and Marion Wallace, were both born in Raymond, Miss. The next death record shows that Mack Jenious died on May 4, 1957 (pdf), at the age of 80 years, 3 months and 9 days. His parents were listed as William and Jane Jenious. His mother’s maiden name was unknown. The record lists his birthplace as Oakley, Miss., which is a little different from Otto’s death record. This record does not require giving the birthplaces of his parents. This is an illustration of how the type of information recorded on vital records could vary over time. The last death record was for Marion Jenious (pdf), which shows that she died on July 15, 1962. The record shows that she was born Feb. 11, 1882, in Edwards, Miss., and her parents were William and Frances Wallace. Once again, her mother’s maiden name is missing, and her place of birth was different from what was listed on Otto’s death record. The informant for both Marion and Mack’s death records was their son, Joseph Jenious, whereas Otto’s wife, Easter, provided the information filled in on his death record. This could account for the difference in the places of birth for each parent. From these death records, we now have the names of Mack’s parents as well as an approximate location of where he was born. We will use this information to see if we can track down the origin of the Jenious surname. The Jenious Family in Hinds County, Miss. Since Mack Jenious would have been alive by the time the 1880 census was enumerated, we began our search in this collection to see if we could find a record of Mack living with his parents, William and Jane Jenious. In our search, we were unable to find any records of three people with the names Mack, William and Jane living together near Hinds County, Miss.. We also did not find any entries for the Jenious surname or any spelling variations. We then went back to the 1870 census and found one promising record for William “Genus,” a 24-year-old black male living with his wife, Jane, and their two children, 3-year-old Patrick and 11-month-old Ella, in Copiah County, Miss. They are about the right age to be the parents of Mack, and Copiah County is directly adjacent to Hinds County. From this record alone, it is difficult to determine if it is actually a record of the parents of Mack Jenious or if it is just a coincidence, but it does give you another avenue to research. A good next step is to explore the 1850 and 1860 Census Slave Schedules for records of the Jenious-Genus families who may have owned slaves. In the 1860 Slave Schedule we found that there were two families who owned slaves in Copiah County with a surname close to “Genus.” The first was for Matilda Guines, who owned nine slaves, including a 12-year-old boy, and H.H. Guines, who owned seven slaves, but none were close in age to William. To find more about this family, we then searched the 1860 census, and we saw that Matilda and H.H. “Guynes” were not living far from each other in Copiah County. Matilda was a 77-year-old female who owned a farm with a lot of property. H.H., a 57-year-old male, also owned a farm with a considerable amount of property. Using this information, we then searched for this family in the 1870 census to see if they were living near William and Jane Genus, and we found that the household of Henry Guynes, a 67-year-old farmer of Copiah County, was enumerated two pages away from William Genus. Because census enumerators typically recorded the information in order of household by each street, there is usually (but not always!) a connection between how close records are together on the census pages and how close the families lived near one another. Given this possible connection, it is worth researching the Guynes family of Copiah County to see if they ever owned any slaves named William. A good starting point is the Copiah County Genealogy & History website to see if you can find records of their farm or family papers. You might also want to search Copiah County Probate Records for wills and estate inventories of the Guynes family. Although you are not specifically trying to prove that you are related to a slave owner’s family, don’t rule out contacting members of the Guynes family if you locate them. If you find willing individuals, ask them to take a DNA test to see if they are related to you (or preferably the oldest living member of the Jenious family line). You can use one of the major companies that specialize in analyzing autosomal DNA, including Ancestry.com, 23andMe and FamilyTreeDNA. Important to proving this connection between families will be finding a record of Mack in the 1880 census for additional clues. Because just searching for the name “Jenious” and several spelling variations of the family name did not yield any potential records, you might have to do a broader search to find potential records. Remember, a lot can happen in the 10 years between the enumeration of the federal census, and it’s possible that one parent died and the other remarried, or perhaps they both died when Mack was young. Keep these events in mind as you target your search of the 1880 census. First, be sure that you are only searching the 1880 census collection instead of using the default search box on genealogy websites. The default for most websites is to search many different collections of records, which can give you an overwhelming number of results. Ancestry.com has both images and an index of this census year, while the site FamilySearch offers only an index. Second, when creating your search, be sure to take advantage of the advanced search features. With these options you can limit your search to a particular town, county or state. You can also specify race and gender. For example, try searching for Mack, a black male born around 1875, and restricting your search to Hinds County, Miss., since both Otto and Mack were born in that county. If you leave the last-name field blank, you will receive all results that meet that criteria, and you might find a spelling variation of the Jenious surname that you have never seen before. The Guynes family of Copiah County is worth looking into, but it’s not the only avenue to research. Sometimes, doing a broad search of your family’s surname can give you more information about the origin of the name. Ancestry.com offers a free tool that gives you basic information and an overview of records available for a particular surname, as well as a geographical distribution of the surname according to federal census records. We typed in the Jenious surname and found that the book Dictionary of American Family Names did not have an entry for the surname, and there were very few records of households with the Jenious surname in federal census records for 1920 and earlier. This provides some support that the name might be a variation in spelling of another surname. You could also do a broad search of land and probate records for places where you know your ancestors lived. From both the vital and census records, you already know that your ancestors lived in Hinds County. Perhaps there was a family with a name that sounded like “Jenious” who owned slaves in Hinds County. Many Hinds County Probate Records are digitized and available for viewing online through FamilySearch. Start by searching the indexes for the Jenious name and many of its spelling variations. Finding the origin of your family’s surname will be challenging because there are few records of African-American families before the Civil War in the South. Furthermore, as you may have already found, the family name was spelled a variety of ways in earlier records in Mississippi. By focusing your search on your Jenious ancestors in Mississippi, following any leads you find, and carefully combing through records, you may begin to get a better picture of the origin of your family’s unique name.